6-Rib Setup - Miata Turbo Forum - Boost cars, acquire cats. Does anyone know of a hotside 6-rib setup that maintains the use of AC and PS, or is it a given that they both have to go? BRP used to make one. My 2000 had both A/C and PS and used a 6 rib pulley. You can still find them if your patient. To my knowledge nobody makes a hot side Eaton type supercharger anymore for a Miata. I think I found what I need. I already have one of the original 4 rib BRPs installed, and found a BRP 6-rib/big throttle body kit. Hopefully it won't be too much of a pain to install. A little worried as the kit has no instructions. I think I have PDF files for the 6rib big throttle body install. I'll look tomorrow. 2. BRP Installation instructions for 6 rib are attached to this post. Last edited by bahurd; 02-09-2017 at 11:15 AM. This is so perfect. This is the exact kit I found. If you are ever in Atlanta beers are on me (seriously). 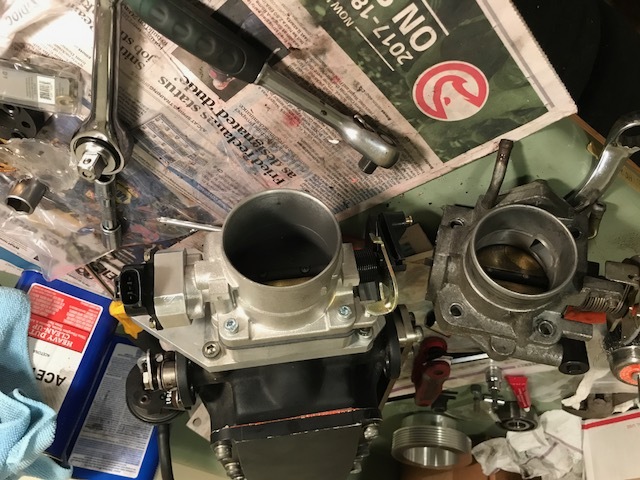 It has taken a bit, but the big throttle body and nose rebuild is complete. Hopefully just a few more weeks to get it back into the car. Not enough time and too many projects. I am hoping to put the supercharger back in the car this weekend. Still need to put the new nose pulley on and the 6-rib crank pulley. There are 10 sub pages. Just let me know what we can do to help. I am putting the blower in the car today. Hopefully not too many issues. Blower is in. Will need to align and tighten up once I get the crank pulley swapped out. Also, had to order a bigger throat air filter as the one I had would not fit the new inlet. Maybe two weeks to complete due to travel schedule. 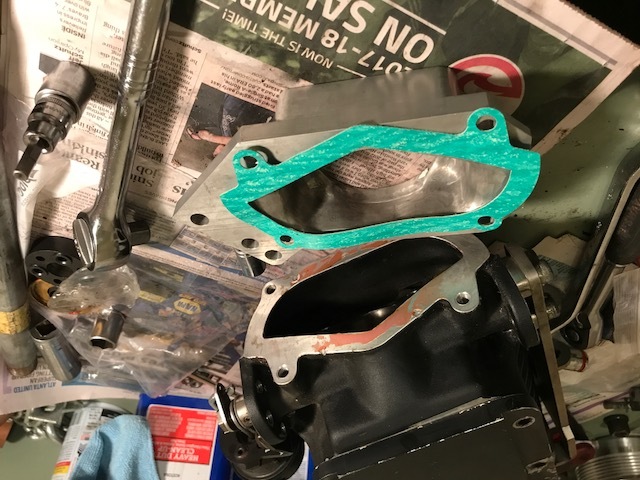 Would love to see your new intake setup when its done. I was using the flex hose, but it moved too much, causing holes when it'd rub. Even at only 11psi, when I tried switching to Silicone tubes, they'd collapse under vacuum caused by the SC. I spliced in aluminum couplers every few inches for strength. it's been hard to find 3" intake piping with tight bends though to avoid the firewall and double-back under the hood. Right now I'm using Frankenstein setup of all three and still get holes from rubbing. I may have to go with a custom welded inlet tube, I guess. have you looked at siliconeintakes.com. They have a lot of options. I was able to make a 3" ic pipe setup with the parts they offer. Thanks, I forgot they had aluminum piping and they have much better documentation on the dimensions so I can figure out the centerline radius. Was getting frustrated on eBay. Going supercharged, help me not make any mistakes!